Pius XII helped Jews to settle in Palestine. Documents confirm Papal involvement. While the Beatification of Pope John Paul II is announced for 1 May this year, we are still waiting for a definite outcome of the beatification’s process of another great Pope Pius XII. It was reported last week, that a miracle ascribed to him which occurred in the South Italian Diocese of Sorrent was under examination: a woman was cured of cancer after praying to him. The Papacy of Pius XII has been controversial for several decades, especially after the publication of the Drama “The Deputy” of Hochhuth. Very strangely many people tend to believe fiction rather than historical facts, and rumour, once set free in the world, is difficult to countermand even when confronted with facts. Hidden behind a pretended moral outrage there is often a hatred or prejudice towards the Catholics. A Pope, whose intervention saved 860,000 lives of Jewish citizens, was slurred as “Hitler’s Pope”. Still, to confront rumour with facts is a moral duty: the love of truth is a moral and intellectual virtue. A commission was set up in Vatican, led by Fr. Gumpel, a renowned historian, and a Positio of 3000 pages was published, which refuted all rumours spread against Pope Pius XII. Eugenio Pacelli, who in 1939 bcame Pope Pius XII, actively supported Zionism during World War II, German historian Michael Hesemann claims in his book “The Pope Who Defied Hitler. The Truth About Pius XII.” Hesemann, who is one of the few historians with access to the Vatican Secret Archives, states he found evidence that Pacelli in 1917 as Apostolic Nuncio in Munich, successfully intervened in favor of the Jewish settlers in Palestine. He located five documents in the collection of papers from the “Nuntiatura Apostolica Baviera”, which under the headline “Guerra Europ, Palestina # 1, Pop. Giudaica e delle Cittá Santa delle Palestina” (European War, Palestine # 1, Jewish Population and the Holy City of Palestine) documents his demarche. Originally, the Jewish Community of the neutral Switzerland had approached Pope Benedict XV., asking him to use his influence to prevent a Turkish aggression against the Jewish population of Palestine, which at that time belonged to the Ottoman Empire. 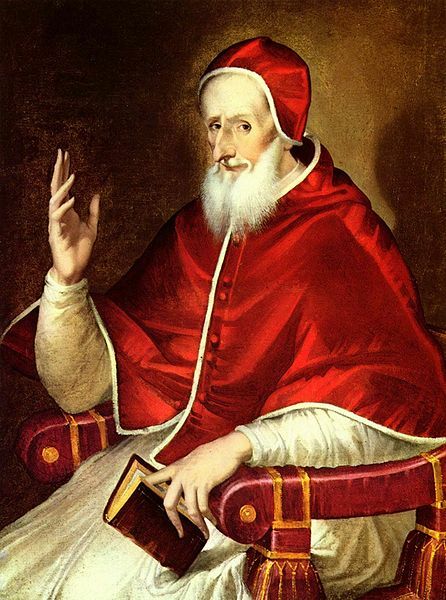 Instead of approaching the Ottoman government in Constantinople, the Pope decided for a clever diplomatic move. The Muslims Turks would not care too much for the Pope, but certainly had an open ear for their most powerful ally, the German Reich. Since the Holy See did not have a Nuntiature in Berlin, but in Munich at that time, Pacelli would be resposnible. Benedict XV. knew that his Nuncio always was friendly towards Jewish affairs. Only a few weeks before he was sent to Munich, when Pacelli was Undersecretary of State of the Holy See, responsible for Foreign Affairs, Zionist leader Nachum Sokolow came to Rome to learn about the Holy See’s position on the question of a future Jewish state in Palestine. 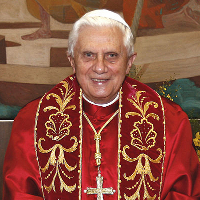 When he was received by Pacelli, he was deeply moved by his warmth and openness towards Zionism. To his uttermost surprise, Pacelli suddenly asked him if he would like to meet the Pope. Sokolow never thought this would be possible for a Jew. Thanks to Pacelli, he had a private audience with Benedict XV a few days later, which lasted for 45 minutes. 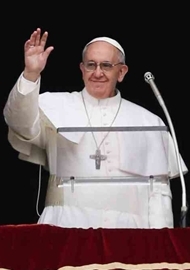 The Pope called the Zionist initiative “providential” and “in accordance with God’s will” and relased Sokolow with the words: “I am sure we will be good neighbors”. But only a few month later, the Zionist settlers were in danger. The Turks suspected the Jews to be collaborators of the British, who had supported the Arab revolt and opened a second front in the southwest of the Ottoman Empire. In a similar way, two years before, the Armenians were suspected to be collaborators of the Russian, another enemy of the Turks. Cemal Pasha, the Turkish Commander who was responsible for the Armenian genocide with its 1.5 Million victims, threatened the Jewish-Zionist settlers. In Jaffa, more than 8000 Jews were forced to leave their homes, which were sacked by the Turks. Two Jews were hanged in front of the town gate, dozens were found dead on the beach. In March, Reuters news agency reported a “massive expulsion of Jews who could face a similar fate as the Armenians”. A report of the Zionist Office in Copenhagen expressed the worry that the Jews of Palestine would face extermination by hunger, thirst and diseases. refused to bother the Turkish ally. The deportation of the Jews was called a simple “security measure”. “This makes the Vatican initiative even more important”, Hesemann states, “another element of pressure had to force the German government to act. This came from the Catholic Church, with its 25 Million believers an important power in the Reich.” On the same day, when the Papal Secretary of State requested if he could “act for the protection of the Jewish sites and population of Jerusalem”, Pacelli drafted and sent a letter to the Bavarian Secretary of State, Ritter von Dandl, asking him for an urgent intervention in Berlin. A copy of both, the draft and the final version, Hesemann located in the Vatican Secret Archives – as well as the surprising reply. conquered Jerusalem, the Jews of Palestine could indeed feel relieved. Romano” expressed worries about the socialist ideas circulating among Zionist settlers. But only four years later, Pacelli encouraged German Catholics to join and support the “German Comitee Pro Palestine to Support the Jewish Settlement in Palestine”, founded in 1926. Among its board members was not only Albert Einstein, but also Pacelli’s closest friend and advisor, the German politician and Catholic Prelate Dr. Ludwig Kaas. wanted to see Pacelli and ask him for advice. Although the Nuntius was severly ill and at the hospital at that time, his physicians allowed a five-minutes-visit. Eugenio Pacelli let him leave only after ninety minutes. “It was obvious how interesting and uplifting the conversation with the Nuntius was, a discussion of historical questions, Jewish as well as Catholic”, the German Zionist Kurt Blumenfeld, who waited for Sokolov in the hospital library, revealed in his autobiography “Living the Jewish Question” (1962). Once again, the man who became Pope Pius XII proved to be a friend who always had an open ear for the affairs and problems of Jews. To download the article in PDF-Format click Here. This entry was posted in Church History, Church Politics, Popes and tagged Michael Hesemann, Palestine, Pave the Way, Pius XII. Bookmark the permalink. 16 Responses to Pius XII helped Jews to settle in Palestine. Documents confirm Papal involvement. An excellent reason for not canonising him, then. All the trouble in the world today stems from the fact that Israel, rightly or wrongly, is situated where it is. Not something to be too chipper about, opines Toad. There are indeed many reasons for canonising this holy man, but anyway that is in the hands of the Holy See to judge, not ours. And concerning Israel, where then should the Jewish people have their homeland? This is indeed their original home, and the Palestinians living there are simply the descendants of the surrounding Arab/Muslim countries. “It was only after the Jews re-inhabited their historic homeland of Judea and Samaria, that the myth of an Arab Palestinian nation was created and marketed worldwide. Jews come from Judea, not Palestinians. There is no language known as Palestinian, or any Palestinian culture distinct from that of all the Arabs in the area. There has never been a land known as Palestine governed by Palestinians. “Palestinians” are Arabs indistinguishable from Arabs throughout the Middle East. The great majority of Arabs in greater Palestine and Israel share the same culture, language and religion. Genetically, Jews are very closely related to Arabs. Palestinian Jews and Christians – those whose ancestors never left the Holy Land – carry the same Y-DNA haplogroups J and E as Kurdish, Armenian, Palestinian Arab, Lebanese, Syrian, and Anatolian Turkish peoples. European Jews show traces of Slavic and Khazar ancestry. Mass migration from Europe to Palestine (as it was then called) began in the late 19th Century. At that time, Palestine was under the rule of the Ottoman Empire. Toad, all the trouble in the world today stems from the refusal of people to treat other people the way they themselves would like to be treated. There is more than one way of looking at the Palestine/Israel question. As with any conflict, of course. The original British idea was that the Jews would have a homeland within an Arab state. After 100 years of pograms culminating in the Nazi death camps, the Jews weren’t having a bar of any solution that left them dependent on the goodwill of others. And given the rhetoric at the time, and the lack of goodwill ever since, I don’t say I blame them. The Arab nations surrounding Israel invited the Arab Palestinians to leave, so that they would be safe from the invasion that was to eliminate the newly born State from the face of the planet. Upwards of 600,000 took advantage of the offer. Many of these were then kept in refugee camp conditions for generations, not by Israel, but by the Arab nations, who cynically manipulated the Palestinians in order to keep the conflict alive. “When Jews began to immigrate to Palestine in large numbers in 1882, fewer than 250,000 Arabs lived there, and the majority of them had arrived in recent decades. Palestine was never an exclusively Arab country, although Arabic gradually became the language of most the population after the Muslim invasions of the seventh century. No independent Arab or Palestinian state ever existed in Palestine. When the distinguished Arab-American historian, Princeton University Prof. Philip Hitti, testified against partition before the Anglo-American Committee in 1946, he said: “There is no such thing as ‘Palestine’ in history, absolutely not.” In fact, Palestine is never explicitly mentioned in the Koran, rather it is called “the holy land” (al-Arad al-Muqaddash). Teresa, I don’t see the existence (or not) of a modern State as necessary to justify a people living in the land that they were born; the land that holds the bones of their parents and their parents’ parents. Maybe it’s a Kiwi thing; these issues have been solidly debated in the public arena in New Zealand for most of my adult years, since the Maori Land Marches. In New Zealand, we recognise as different concepts: ownership of the land, stewardship of the land, government of the land, occupation of the land, a deep spiritual connection to the land. Joyful, I am not debating that, there are many Arabian Israeli, I know one with Israel Passport. I mean the Jewish immigrants shall have the right to live there and defend themselves. To deny that Jews originate from the region where they are living now is to deny the legitimation of the existence of their state. While you mean well, this argument could be used by people who don’t recognise Israel as a State, and yes, there are a lot of this kind of people, the president of Iran denies openly the right of Israel to exist at all! Teresa, I agree with what you have written. And I know (see my comment above) that the Israelis have struggled from the beginning against those who denied their right to exist. But the quote Kathleen repeated could be (and has been) taken as denying the right of non-Jews to be in Israel, by naming them as Arabs and claiming that they are interlopers. My point is that both extremes are wrong. And, yes, there are Maori activists who deny my right to be in New Zealand, though ancestors of both my mother and my father came here in 1859, though my family’s bones are buried in this land, and though my children and all but two of my grandchildren have been born here. I by no means say that only the aboriginals have a right to be in the land. If we take that to its extreme, the Rift Valley in Africa would be very crowded! But nor do I say that my right to be here depends on the undoubted fact that a modern State did not exist before Europeans arrived. My right to be here, like the right of the Maori before the Europeans came – like the right of the Muslims, Christians, and Jews of Israel – is fundamentally a squatter’s right. My family and I have lived here for generations, and any law on the matter has to take account of that fact. Let me be clear – I support the right of Israel to exist and to defend itself. I do not support its right to identify itself solely as Jewish, any more than I support the right of Iraq to identify itself solely as Muslim, or of states in India to identify themselves solely as Hindu. I think it is a difficulty in debating this issue when we talk about Jews (in the religious sense) and Arabs, or about Israel and Muslims, because we are not comparing like with like. Rather, let’s talk about Israel and the Arab countries, or about Jews, Christians and Muslims. As for Israel as a Jewish State, I think it is a relatively new idea brought up by the Orthodox Jews. At the beginning, with many liberal Jewish immigrants from Europe after the Holocaust, I think they did aim to build up a neutral secular State in the modern sense. Yes, Teresa, and as I pointed out above, the aggression of the Arab nations towards Israel, starting with an invasion on the day the nation-State was declared, is part of the reason the opportunity was lost. If it was my job, I’d only allow grandmothers to negotiate the peace agreement, and I’d insist that they bring grandchildren or greatgrandchildren under the age of eight with them, and leave them to play together during the negotiations. This would help them to focus their minds on what is important about a country – that it is a safe place for small children to grow into their full potential. Getting the old warriors to let go of their hatreds long enough to agree would be a problem, but I’d trust the grandmothers to deal with the young warriors. I agree that their access to nuclear and biological weapons make them far more dangerous to far more people, but the old warriors have seldom fought with their fists; they prefer to use the fists of the young men. Since the earliest of recorded history, the young men led the way into battle, and the old men stood at the back surrounded by bodyguards. Now, when the battle can be commanded from afar – even from another country – they don’t have to even see the results of their commands in real human terms. It is too easy to fight; too easy to hate, when you do not personally paying a price in blood or tears or both. Does Toad sense a certain uneasiness here, Teresa? Regardless of whether it is an old or new idea, it is unquestionably and undeniably the way things are today, and how they are going to be from now on. And the rest of the world can take it or leave it. No one mentioned that the Palestinian region was “empty” before the Jews started migrating there (certainly I didn’t), only that it was sparsely populated. Between desert and swamp, the land was hostile to survival; malaria was rife. The Jews, arriving in ever increasing numbers at the end of the 19th beginning of the 20th century, set to work to make the place more habitable, cultivating the desert and draining the swampland. Certainly it does seem to be impossible though to really establish what the population figures were exactly beforehand. Joyful’s link about this was interesting. But Joyful, why do you think my first quote denies the right of non-Jews to settle in Israel? It doesn’t infer that to me. If that were so, I wouldn’t have posted it! I have been to Israel and I can assure you that ISRAELI CITIZENS are a very mixed bag of religions (mostly Jewish of course) and of groups within these religions, where everyone goes about their business without interference, as in any modern European country. The only difference is the tight security, where everyone’s bags or rucksacks are searched by Israeli guards, before entering public places, whether you are Jewish, Muslim or Christian. If you have nothing to hide, such security only makes one feel safer under the current risky situation. (One of the places my husband and I were taken by our Israeli friends to have an excellent meal was a pro-Israeli Arab town called Abu Gosh.) Unfortunately of course there is anti-Israeli sentiment among some Muslim Arabs ….. but enjoying the privileges of being Israeli citizens, none of them want to leave! Joyful, Israel DOES NOT identify itself as being solely Jewish. The two state solution would not work because there are too many Muslims (from many countries) that want only the total destruction of Israel. Btw, I love your idea of grandmothers and their grandchildren finding solutions to all these problems and hatreds!! What a different world we would be seeing then. Hold on, I’ve just realised it was probably this line from the quote that you were referring to: “Jews come from Judea, not Palestinians”, which seems to insinuate that these non-Jewish Palestinians were not welcome in Israel. I simply saw it as meaning that the Jewish claim to the land goes back further than the more recent arrivals, known as Palestinians. Further down though it refers to “Arab residents”, that is to say, people who are there to stay, whatever their race or religion, i.e. Israeli citizens. The fact does indeed remain that all our ancestors were once migrants to the lands where we were born…… like your example of NZ. Take England for starters! The Romans arrived and shoved aside the ancient settlers there. They in turn were “invaded” by the constant arrivals of the Anglo Saxons, and whilst some remained and gradually intermarried with the newcomers, others returned to Rome. A few centuries later we have the Norman conquest and two opposed peoples inhabiting the same isle until eventually they were amalgamated. Who could now say that Romans or Anglo Saxons, or Normans, had no right to be there!! Assimilation is the answer. Toad is right though, that intermarriage and amalgamation in the land of Israel is sadly only a utopia!